November is Military Family Month! Remember, November 1st starts Military Family Month. Throughout the month of November, we honor military families serving the world over through a variety of observances. From our family at Forward March Inc. to all the military families who have sacrificed so much, we salute and thank you! 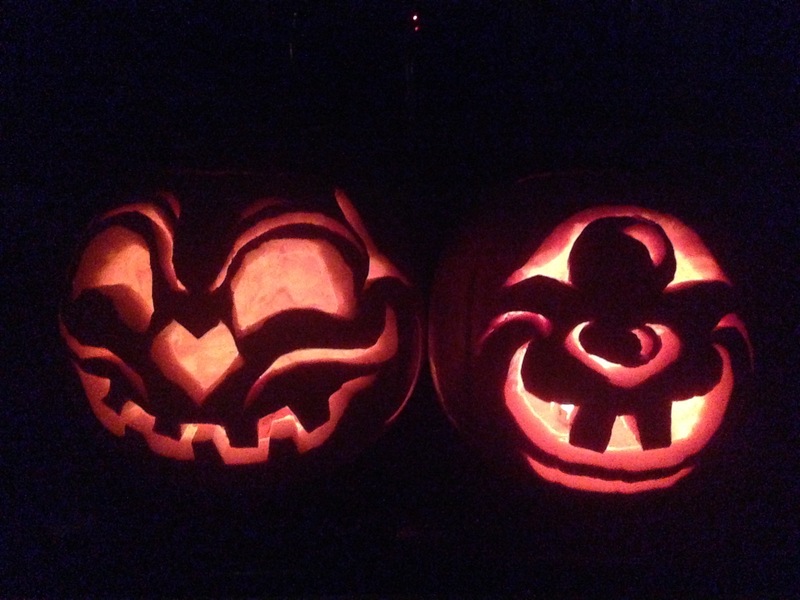 Check out the jack-o’-lanterns carved by our director of marketing and technology and his kids. Kids all over the nation are gearing up for trick-or-treating tomorrow night. All the folks here at Forward March Inc. want to wish you all a happy and SAFE Halloween. Forward March Inc. is hosting the Veteran Employment Transition Networking Event on November 17th. This event is FREE for all veterans, transitioning military and family members! One way that you can honor our national treasure, our heroes (and their families), is to employ them. If your company or organization wants to know how to go about employing veterans and transitioning military personnel contact us today! Also, come see us at our Corporate toCamouflage Conference and/or our FREE Veteran Employment Transition Networking Event. This entry was posted in HOOAH! and tagged active duty, active duty military, air force, army, coast guard, combat veteran, forward march inc, halloween, hooah!, jack-o'-lantern, marine corps, marines, military hiring, military service, national day of the deployed, national guard, national military family month, navy, r.e.d., r.e.d. friday, remember everyone deployed, reserves, san antonio, service members, texas, transitioning military, united states armed forces, veterans by Forward March Inc. Bookmark the permalink.